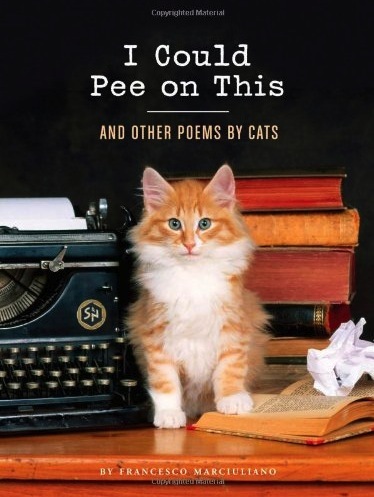 P&PC Correspondent Catherine Keyser Reviews Francesco Marciuliano's "I Could Pee On This: And Other Poems By Cats"
Editor's Note: Usually the P&PC office cats show little interest in our regular postings and office politics. Sure, they appreciated our analysis of the poetry printed on the packaging for Purina's Friskies Crispies Cheese Flavor Puffs, but—not unpredictably—they were more interested in the puffs themselves. Our posting about the poetry printed on the reverse side of an old "Rat On Toast—For Dinner" stereoview card met with relative indifference, and while we thought our "Stray Cat Ethics of Poetry Criticism" was pretty damn charming, they (Athens and Bella, pictured here) felt it was pretty much common sense. Thus, when Athens and Bella came to us with paws outspread suggesting that Francesco Marciuliano's new collection I Could Pee on This: And Other Poems By Cats would be excellent material for a posting, we had no choice but to oblige. 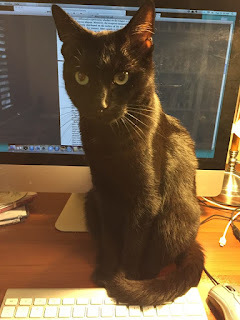 So we turned to longtime P&PC friend and correspondent Catherine (Cat) Keyser, hoping that she and her housemates Buffy, Spike, and Dorothy Parker (Dottie) might be inspired to write a few lines on the subject of feline purr-sification. An Associate Professor of English at the University of South Carolina, Keyser (pictured here with Dottie) is the author of Playing Smart: New York Women Writers and Modern Magazine Culture (Rutgers UP, 2011). Quite fittingly, then, she locates I Could Pee on This in a long tradition (a literary cat-egory, perhaps?) 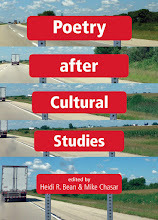 of magazine, newspaper, and popular modernist poetry that includes T.S. Eliot, Edna St. Vincent Millay, Deems Taylor, and Don Marquis. 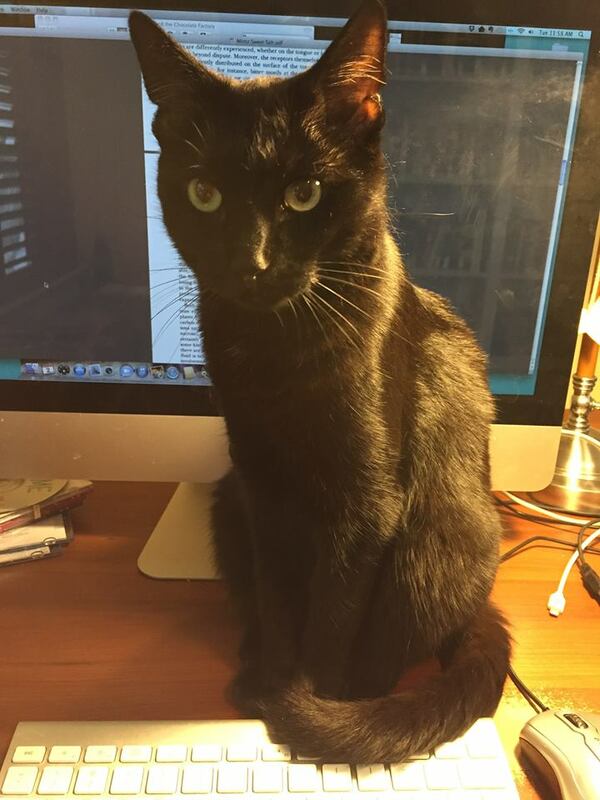 Read on, dear reader, to discover which litter boxes Marciuliano's Twitter-era internet celebrities have inherited from those literary lions—and which ones they've broken in on their own. Francesco Marciuliano, the author (amanuensis?) of I Could Pee on This, is the heir to a long line of cat poets before him. 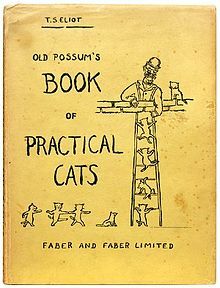 Perhaps most famously, T. S. Eliot's Old Possum's Book of Practical Cats (1939) features the prestidigitation, tom(cat)foolery, and grand larceny of lovable rogues such as Mungojerrie, Rumpleteazer, and Rum Tum Tugger. 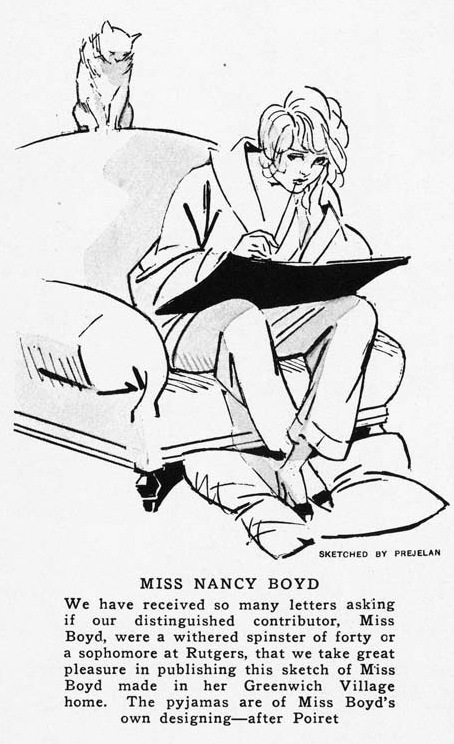 The original edition (pictured here) included a cover illustration by the poet. The kitties shimmying thereon forecast the choreographic feats of the Cats that would grace the stage of the Winter Garden throughout the 1980s. 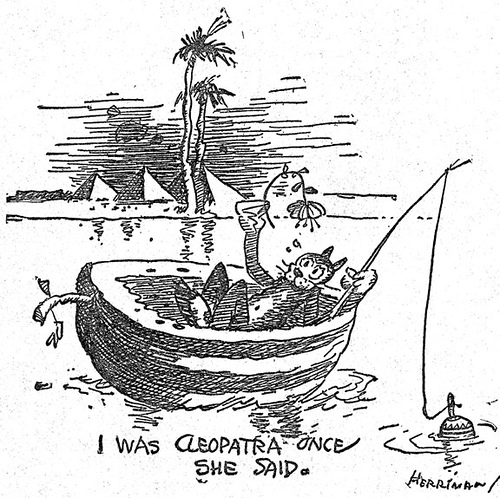 If Eliot's jellicle cats played feline flâneurs, Mehitabel flaunted her flapperdom. (She would later be played by Eartha Kitt in a short-running musical by Mel Brooks called Shinbone Alley ). 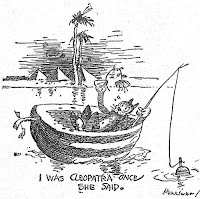 Cats also resembled columnists: they kept nocturnal hours, liked to doze on couches, and never knew where their next meal was coming from but trusted that someone else would pick up the tab. Composer, music critic, and light verse writer Deems Taylor insisted that he turned to Broadway songwriting because someone had to support his cat, Mrs. Higgins. In a 1912 Smart Set poem called "Jack of All Trades," Taylor offered to get his cat in on a double act: "I can play a jig, or dance it; / I can teach a cat to hurdle through a hoop," for "well, you know, a fellow's got to eat." 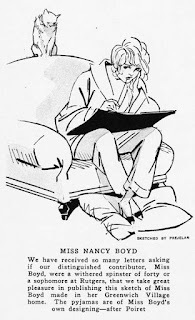 When Edna St. Vincent Millay wrote humor columns for Vanity Fair under the pseudonym Nancy Boyd, the magazine introduced her alter ego with a cat compatriot (pictured here), whose vantage point above the shoulder seems both inspirational and editorial. 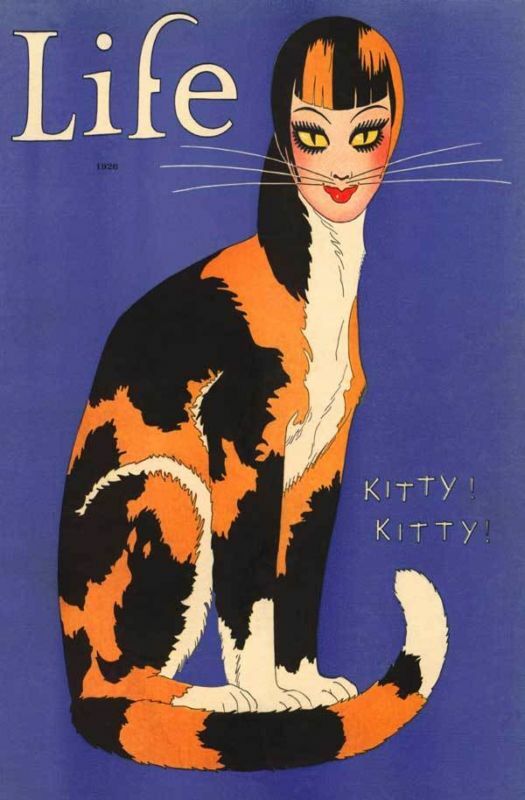 If the cats of interwar light verse seemed like magazine columnists, Marciuliano's cats are decidedly bloggers. They write in free verse, not pesky ballad forms. Each poem is illustrated, not with a cartoonish line drawing, but with a close-up photograph of Instagram ilk. These cats are hyper-aware of their mediated lives, knowing their hijinks are likely to become memes: "But you took that special moment / You posted it online / Now forty million people think / I bark like a dog." They document the minutiae of their daily routines ("I lick your nose / I lick your nose again"). They observe shared occasions (In "O Christmas Tree": "The tree looks better on its side"). They confess their insecurities: "I thought I saw something / I forgot what it was / Now everyone is staring at me." How about just a treat then?